We value relationships with leading technology, financial software and professional services organizations. We do this to extend, enable and maximize the benefits our clients derive from MEA Financial’s solutions. Acculynk Acculynk is a patent backed payment and authentication innovator backed by one of the largest venture capital funds in the US. Acculynk’s portfolio of white label payment solutions drive down transaction costs, speed up settlement and minimize fraud for for Banks, Payment Networks, Merchants and Governments from Maine to Mongolia. Allied Payment Network Allied Payment Network formed in 2010 to provide Bill Payment services to the financial industry. Allied believes in “Making Payments Simple” by providing the simplest user interfaces in the industry. Allied can easily integrate with virtually any Internet banking or Mobile application provider to deliver bill payment modules for retail or small business users. Allied’s Picture Pay is the nation’s first mobile bill payment application that enables financial institutions’ customers to pay bills using the camera on their mobile device. With Picture Pay, users simply take a picture of the bill, enter the amount and date, and the bill is paid. BrownBoots Interactive, Inc. BrownBoots opened its doors in 1999 with a focus on custom web development and design. Since then, the company has evolved into a full-service advertising agency. After developing several credit union and bank websites, BrownBoots identified the need within this market for custom responsive web design that breaks away from the boring, cookie-cutter approach, not to mention an easy-to-use content management system (CMS) and banking-specific tools. ChannelNet ChannelNet is a leader and pioneer in delivering customer acquisition and retention services via mobile and web-based solutions that work across channels. Using software-as-a-service (SaaS), its patented marketing automation platform connects leading automotive, financial services and home improvement companies with their customers to sell products and services through brick and mortar, call center, field sales and digital sales channels. Columbus Data Services, LLC. With a network of over 65k ATM’s Columbus Data Services is one of the largest ATM processors serving financial institutions and businesses with their payment transaction processing needs. We offer a diverse range of payment processing solutions, including Point of Sales, Financial Institution, and Prepaid Card services. Computer Services, Inc. (CSI) Computer Services, Inc. (CSI) delivers core processing, managed services, mobile and Internet solutions, payments processing, print and electronic distribution, and regulatory and compliance solutions to financial institutions and corporate customers across the nation. 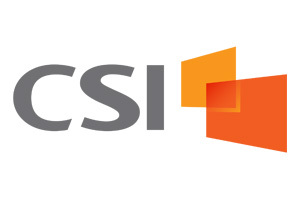 Exceptional service, dynamic solutions and superior results are the foundation of CSI’s reputation in empowering businesses to remain competitive, compliant and profitable. Computer Service Professionals, Inc. (CSPI) Computer Service Professionals Inc. (CSPI) offers a wide array of professional services and products to progressive community banks, with a focus on item capture, image processing and online banking products. As a software and service provider, CSPI has always focused on the needs of today’s progressive community banks. CSPI is valued by banks around the country as a technology partner and for providing easy-to-use software and hardware solutions that significantly increase productivity. CSF INTERNATIONAL (CSFi) CSF International (CSFi) is a global provider of electronic payment software providing leading edge solutions to the financial industry since 1980. The solutions include ATM driving and management, on-line ATM/debit core authorization interfaces, EFT/switch network interfaces, fraud detection and prevention, card management, EMV transaction processing, system monitoring and alert notification, deposit automation, remote key loading and much more. A worldwide clientele ranges from community banks and credit unions to national banks, holding companies, ISOs and service centers. DeepTarget DeepTarget's targeted e-marketing software delivers new revenue and high ROI to Financial Institutions and other businesses. Multiple channels such as online banking, web, email, and mobile are used to convey relevant, timely and personalized messages to your customers. Diebold Diebold, Inc. is a United States-based financial self-service, security and services corporation that is engaged primarily in the sale, manufacture, installation and service of self-service transaction systems (such as ATMs), electronic and physical security products (including vaults and currency processing systems), and software and integrated systems for global financial and commercial markets. Diebold is the largest U.S. manufacturer of ATMs. Digiliti Money Digiliti Money is a leading financial services technology company specializing in commercial and consumer remote deposit capture (RDC) and mobile money solutions for banks, credit unions, and alternative financial services (AFS) providers. Fiserv Fiserv, Inc. (NASDAQ: FISV) is a leading global technology provider serving the financial services industry, driving innovation in payments, processing services, risk and compliance, customer and channel management, and business insights and optimization. Geezeo Geezeo is the proven white-label PFM provider for banks and credit unions. Digital solutions for your consumers, businesses and wealth clients. Geezeo helps banks, credit unions and other financial service providers engage their base, leverage data, reach new market segments, and increase wallet share though their consumer and business PFM solutions and integrated Marketing Platform. Geezeo is the preferred Personal Financial Management (PFM) solutions provider for over 400 financial institutions. MDT | Member Driven Technologies MDT provides credit unions with a private cloud alternative for core banking and IT needs. The CUSO’s service-first, hybrid approach to outsourcing enables credit unions to boost efficiencies and security and reduce costs while maintaining a high level of control. MDT hosts the Symitar Episys core processing platform, along with dozens of seamlessly integrated solutions to run the entire institution, including digital banking, payments, lending, security, continuity and regulatory services. Mitek Systems Mitek Systems (OTC: MITK.OB) is an innovator of advanced image analytics and mobile document capture applications for camera phones. For over twenty years, the company has developed the most comprehensive suite of intelligent character recognition software used to test, clean, authenticate and extract data from imaged checks, documents and objects, and its software is used to process more than ten billion transactions per year. Mitek’s Mobile Deposit supports the payments industry standards for Remote Deposit Capture (RDC), and extends mobile deposit capabilities to millions of consumers who use cell phones equipped with a camera. The Monitise solution will integrate Mitek’s Mobile Deposit application into its mobile banking and payments platform. POPin Video Banking Collaboration POPin Video Banking provides a Software as a Service (SaaS) solution that helps Financial Service companies connect with their consumers via Video Collaboration. That means while on a face-to-face video chat, your representatives can share content, exchange documents, review contracts, and gather signature(s). POPin can be deployed in-branch, on web, and/or via the mobile channels. You can help your consumers open new accounts, mortgages, and loans from anywhere they are connected to the internet. POPin is focused on creating the best solutions for Financial Service companies to serve their consumers, but they also have deployments in other customer service areas too. PreCash PreCash improves lives and business through payments. PreCash offers comprehensive, fast, easy and low-cost payments services for retailers, financial institutions, businesses and consumers. With its robust bill payment platform, extensive licensing and stored value resources, PreCash offers a breadth of solutions anywhere people and businesses access financial services. Whether walk-in bill payments; processing services for money transmission and prepaid access; mobile and online bill payments; expedited bill payment processing; or Visa®, MasterCard® and Discover® prepaid services, PreCash helps businesses generate revenue and build stronger bonds with consumers. ReliaMax Private Student Loans ReliaMax is the only company to offer a complete private student loan solution for lenders including origination, servicing, compliance and insurance providing up to 100% loan protection. The ReliaMax Solution provides a fully administered private student loan program built on technology and data-driven analytics to help lenders, at a low cost of entry, become experts at helping students in their markets obtain their dreams. Pinnacle Financial Strategies Pinnacle Financial Strategies is the nation’s leading provider of programs that generate revenue and improve bottom-line profitability for community banks and credit unions. Pinnacle’s cash back reward programs, best-in-class overdraft privilege programs and industry-leading mystery shopping services position clients to grow market share and increase profitability. ProfitStars ProfitStars is an innovative and vibrant performer in the financial solutions industry and a leading provider of best-of-breed products and services. Wholly owned by Jack Henry & Associates, ProfitStars has the solid backing of a 30+ year publicly traded entity in the financial software sector. Through Jack Henry’s focused diversification acquisition strategy, the vision for ProfitStars was created to offer specialized solutions, which are compatible with virtually any IT platform and/or operating environment. Vertifi Software, LLC Vertifi Software, LLC (Vertifi) is a wholly owned subsidiary of EasCorp. It was established in 2009 to provide payment systems software and services to financial institutions in the United States. Its flagship product, DeposZip, was the first remote deposit capture service built for household consumers and made available commercially to and through financial institutions as a hosted service. Vertifi provides branch capture, image cash letter, and statement processing services. If you are interested in learning more about becoming a technology partner of MEA, please take a few moments and send us an email.